Downgrade to NEUTRAL, from Buy with new USD9.60 Target Price from SGD9.66, offering 5% upside. Strong results from health & beauty business were diluted by losses from South-East Asia supermarket segment and weak Yonghui performance. We expect to see continued high opex in the next 12-24 months, as Dairy Farm rejigs supermarkets and invests in IT infrastructure. Potential headwinds in 2H18 include rising rental rates and depreciation of ASEAN currencies against USD. Switch to Sheng Siong (SGX:OV8; Rating: BUY; Target Price: SGD1.27) for stable earnings growth via store count and margin expansion. Dairy Farm has a 5-year transformation plan to eventually improve market proposition, supply chain competence and omni- channel capabilities. While we are positive on long-term prospects, we expect to see opex remaining high over the next 12-24 months, as it restructures and invest in stores and IT infrastructure. Associate Yonghui Superstores should also to chart slower growth, as it invests in new digitised offline format – Chaoji Wuzhong, leading to start-up losses in the current gestation phase. Consensus cut Yonghui’s earnings by 4-8% over FY18F-20F in the past month. As such, we cut FY18F-20F EPS by 6-14% to reflect higher costs in the supermarket division and slower growth from Yonghui. We now expect EPS to grow at 7% CAGR over the next three years. This reduces our DCF-derived Target Price to USD9.60. Prefer Sheng Siong for Singapore-listed consumer stock, which trades at 19x FY19F P/E, a discount to Dairy Farm. We think it offers a defensive investment since almost all of its income is derived from Singapore. We expect earnings growth to be stable at 10% CAGR over the next three years, driven by new store openings (six new stores YTD) and margin expansion. 1H18 results showed robust growth in health & beauty. The division registered double digit growth in sales and operating profit across most of the markets. Improved operating leverage also raised EBIT margin by 3.2ppts compare to the same period last year. We expect the strong performance to continue into 2H18, with an increase in mainland Chinese tourists in Hong Kong and Macau driving the growth. However, we note that the food division experienced higher rental and labour cost in Hong Kong in 1H18. As such, we think there could be potential cost pressures limiting further margin upside for the health & beauty segment moving into FY19F. Tough luck for the food division. Y-o-y, operating profit from the supermarket segment has halved, led by losses in the South-East Asian markets. Management cited these markets as having suffered a lack of investments in the past. Turning the business around would involve more time and, as we see it, more cost to come through this year. Associates income used to be one of the key drivers of Dairy Farm’s growth. However, this year, Yonghui disappointed the market with lower earnings y-o-y, as it invests in new digitised offline format – Chaoji Wuzhong, leading to start-up losses in the current gestation phase. This resulted in the street cutting Yonghui’s earnings by 4-8% over FY18-20F in the past one month. We now forecast a slower growth rate in Yonghui’s contribution, as we see potential cut from consensus numbers. New management team gives new hope. 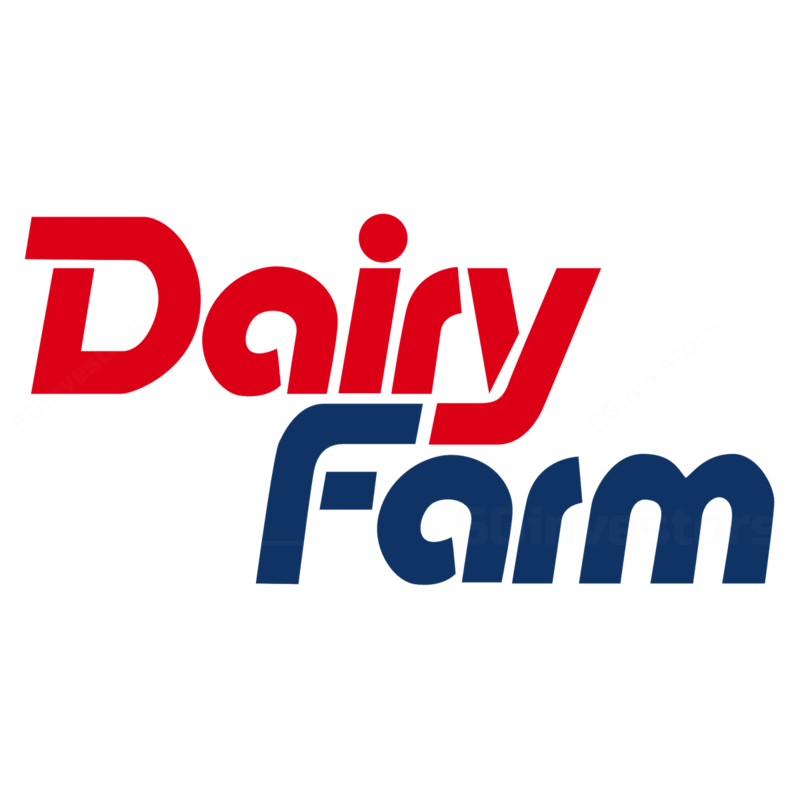 With the new leadership team, Dairy Farm has consolidated and centralised trading operations to two divisions – North Asia and South- East Asia. We believe this should lead to an increase in centralised procurement over the next five years, leading to stronger bargaining power for suppliers’ rebates and higher margins. With regional exposure, revenue from Dairy Farm’s supermarket segment is 10x larger than Singapore-listed peer Sheng Siong. We believe it should be able be command greater economies of scale if it is able to execute the consolidation and centralise procurements in the long run.